One of the biggest struggles most parents have at one point in their child’s life is getting them to not only eat healthy, but enjoy healthy foods. There are all kinds of books on the subject. It can happen at any age from toddlerhood to teenage- hood. 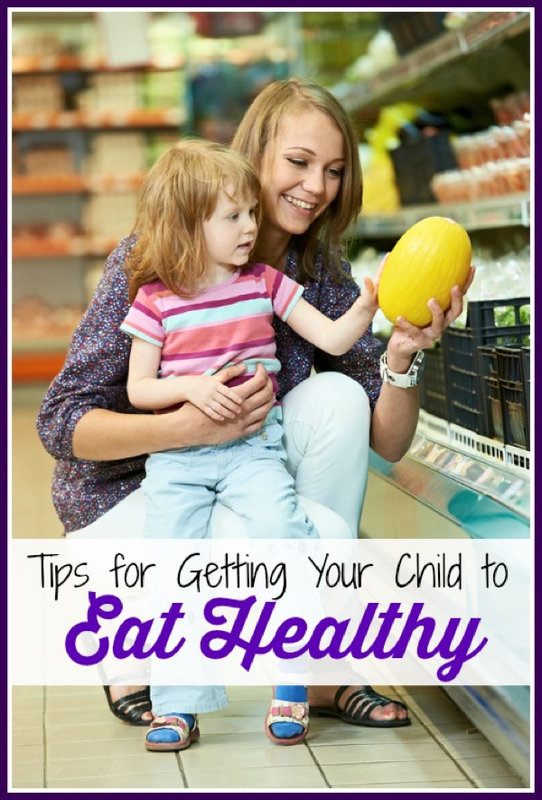 Here are some tips for getting your kids to not only choose healthy foods but start to enjoy them as part of a healthy lifestyle. Don’t compromise. It might seem easier in the long run, especially if you are tired, but don’t allow your children to ask you to make alternatives to meals you prepare. It is important that they are given opportunities to eat healthy foods, even if they are reluctant. Your child will be just fine if they skip a meal or two here and there. Allow them to help you prepare meals. Kids are often fascinated by the cooking process no matter what is being prepared. They will be more likely to try something if they see how it is made and even step in to help. It takes away a lot of the mystery of the “strange” food. Offer dips and sauces they like. Some kids won’t eat something unless it is drenched in ranch, ketchup or BBQ sauce. While it may seem weird to you to have ketchup on cooked vegetables, to a kid, it might make it more desirable. Don’t make it a struggle. Offer the healthy foods, but don’t force them to try it. It only makes them dig in their heels and become more resistant. Don’t reward your child for eating healthy with junk food. This seems silly when you say it that way, but how many parents do you know that will say, “If you eat your broccoli, you can have cake for dessert.” That is rewarding them for eating healthy food with junk. Instead, praise them if they do eat it and leave it at that. If they don’t try it, don’t make a big deal out of it. Be careful not to talk about foods you don’t personally like around your children. Kids take cues from adults and if you say you don’t like something, they will think it isn’t worth trying. Keep the junk out of the house. If there is only healthy snack and meal options available, your children will eventually learn that snacks like chips, cookies and cupcakes are only for special occasions and are treats. Don’t completely cut off all junk food. Junk food is fun food. Everyone knows this. There is no need to completely cut it out, but it should be reserved for special days and occasions such as birthday parties, BBQs or holidays or eating out. Give choices. This means allowing them to pick the veggie with meals or allowing them to pick out new exciting produce at the grocery store. Even if you don’t think they will like it, if your child points out something interesting at the grocery store in the produce section, allow them to try it. Finally, make food fun. Cut it into shapes with cookie cutters for young ones and offer it in interesting ways for older kids. If food is never seen as a bad experience, your children will most likely surprise you with what they are willing to try. And by all means, praise them when they do!